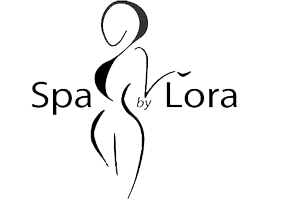 Lora offers effective waxing services for her clients who live or work near the Bucktown neighborhood of Chicago and the Ravinia neighborhood of Highland Park, Illinois. Waxing appointments are available for both men and women at both Spa by Lora locations. If you’re looking for a longer lasting hair removal solution and a smoother finish, contact your most convenient Spa by Lora location to make an appointment today. Waxing is a hair removal method that has been used since ancient times. Historically, both women and men would use a combination of beeswax, sugar, and honey to remove body hair. Today, a thin layer of warmed wax is applied to your body then quickly pulled away to remove body hair from the root. Waxing services are available at both Spa by Lora locations in Bucktown, Chicago and the Ravinia neighborhood of Highland Park, Illinois. Contact your preferred location for more information and to make an appointment. What are the benefits of waxing? Waxing provides a smoother finish initially and your skin will stay smooth and hair-free for one to two weeks instead of the one to two days you get from shaving. Additionally, waxing is suitable for all skin types, while laser treatments and electrolysis are less effective if there is little difference between your skin and hair color. You will need to let your hair grow in a little bit before a waxing appointment. Most people have waxes every four to six weeks. Waxing is most effective when your hair is between a quarter and a half inch long. It also helps to exfoliate the area a few days before your treatment and to keep your skin soft, but not overwhelmed with heavy or greasy moisturizers. While you can take a couple of painkillers before your appointment, you should avoid caffeine as it can increase sensitivity. What happens during a waxing appointment? During your waxing appointment, you relax on a treatment table. Lora will clean the area you are having waxed to make sure it is clear of oils that could reduce the wax’s ability to attached to your hair. She then spreads a thin layer of warm wax onto your body and applies a linen strip over the wax as it hardens. She then quickly pulls the linen and the wax away from your body, pulling your body hair out by the roots. The process is repeated until you are free of body hair.